Universal account number comes in very handy when you want to check your EPF balance status online. There are multiple way to check them and one of them includes UAN number. 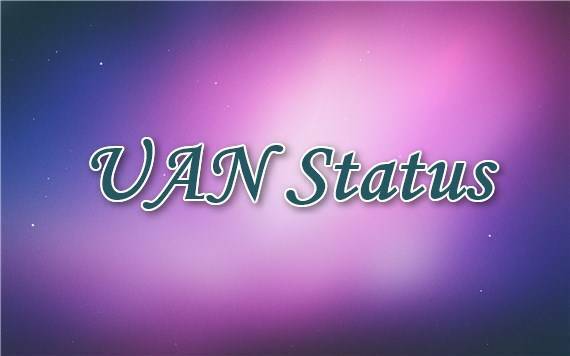 In case, if you have already applied for the same, then you can check UAN status from the given websites in this tutorial. Do you want to check your UAN Status? Are you looking to activate your UAN? We will be guiding all employees to check the status of UAN registration. Universal Account Number is a distinct 12 digit number allotted to EPFO member employees. It is a unique identity for all members who are currently contributing to EPFO. It is an identity for the person for lifetime. The number is allotted to all employees with validity for lifetime. The employers submit the required details and documents at the EPFO employer portal. Depending on submission, the UAN number is allotted for all employees. If you are not getting your UAN number from your employer, you can check the UAN status by yourself. We have shown you here how to check your UAN status online at EPFO website. UAN serves as a portable identity for EPFO account for lifetime. It can also be seeded with bank accounts, PAN number and Aadhar card number. It is very beneficial for employees. The number remains same even when people are changing jobs frequently. Crores of UANs are already activated online. If you want to activate your UAN number, just collect your UAN number from your employer. However you can also know your UAN status online using your PF number. If your UAN number is not yet generated, use this information to track the status. With this facility, members can generate and know their UAN status number online without contacting employer. The online UAN status can be checked at the UAN members portal. Before you check it, keep ready your 22 digit EPF member ID with you. Here is how you can check your Universal Account Number status. Select your state and EPFO office or region from the drop down menu list. As soon as you select EPFO state and region, the first two boxes of PF account number will automatically get filled in. Now you have to enter the Establishment code, extension code and your PF account number. If it does not have extension code, just leave it blank. Click on ‘Check Status’ button. You will get a message whether the Universal Account Number is allotted or not. If you get a message like this, it is confirmed that your UAN is been allocated for your EPF Member ID. You can immediately provide the details required right on that page to get your number. To know your UAN status you would need to provide some details. After filling in above details click on ‘GET PIN’ tab. You will get PIN number on your mobile. Enter it in the PIN field. This will submit your request for UAN and it will be generated in next 7 days. Once it is generated, you will receive by SMS. Use the below link to activate this registration and check UAN status. After activation, you will create your login id to check EPFO balance using UAN number. Online UAN activation will enable you to avail many online facilities at EPFO portal. 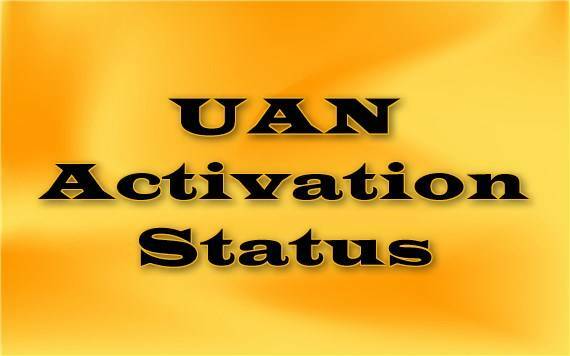 To activate your UAN, you will be submitting almost same details given above. You will Get PIN number which you have to enter to activate your Universal Account Number. Once it is activate, it can also come in handy while knowing your EPF claim status. The Universal Account Number scheme is to minimize dependency on employers. Members can get various information related to their EPFO account without approaching employers. If you are holding multiple PF account numbers, do not try to generate multiple UAN numbers. The EPFO UAN system does not allow to generate multiple UAN numbers. If you have not yet received your UAN, you can check UAN status using given procedure. You can also generate your Universal Account Number while you are not currently working. You can use your previous EPF account number. Even if you have withdrawn your EPF amount, you can still generate your UAN and check UAN status. Share our site with your colleagues for useful information on Provident Fund. Please help me i againg gernate uan no. Sir my uan no.1800118005 , already I applied for withdraw. Pls I want status. Sir My PH UAN -100452474711 and my Phone Number -8296715944. My phone number not registered so please help me. UAN number how to checking.. I forgot my uan number. can you provited me uan number. Sir i forgat my uan no. Pl prvide me uan no. I am Jalindar Nikam i got UAN & Password but how to check pf balance & Pf pass book transaction on my registrar mobile Number My UAN is 100171924554 & Mobile No Is 9767650484 pls give suggestion abou t it . I dnt knw weather my uan no is created or nt..since I left the firm within 15 days of joining..my new firm is asking to create a new uan no or provide the old one..bt I dnt knw weather it was created before or not..what should I do? Sir I am not uan number.plz.genarate uan number.sampad number acharjee.my of nuber is WB/28852/51000.plz. ultratech eng. Kakrapar gujrat tapi please give me uan no. please give me my pf passward and uan no. please give me my pf passward & uan no. Confirmation of first time employment/previous employment in your case is pending with your employer. Please contact your employer. Please Check my status form submit last three month but not reward me back. ye mera uan no hai 100568268946. My UAN is genrated but it is not working properly..
How To Resolve This Problem. …??? Please give me suggestion. I am jiban dihingia. My UAN no. is 100175987237. I have unable to download my UAN passbook checked for update. When I want to download my passbook sowing me that passbook is not available. Please help me Sir. I forgot my uan number. can you provided me uan number.with password. I forgot my UAN number. can you provided me UAN number. With my password. This is to inform you that, my name, my father’s name and my date of birth is given wrong in UAN account. How could I change my details in it, and I don’t have an option to change my details in the UAN account. As my UAN is genrated my previous company I can’t even take their help in this case. Could you please advise me how to deal with this problem. sir may be get my EPF no,my uan.no is 100149397873 and how much balance in my a/c. got detail ,thainku. My name is M.Srinivas i am working 9.5 years in my previous company after that i am submit papers in dehradun office for my PF amount withdraw purpose. after that i am get some amount . So i request you to how to know remaining balance amount details, pl help me . mera passbook bhi nahi open ho ra hai. pls mujhe help karo. My uan no is 100113885592.but when I going to the activaton then show your uan id is wrong. Please tell me how to deal with this problem. My name is bidyut dey. I Devidas B Thavai I forgot my UAN number please provide my IAN nnumber. My mobile number is 8975725878. This is Janakiram. I have existing login. Kindly advice me how to generate the PF statement for my account. my uan no 100682971977 & mob no is 8149132156 please activate & generate my password. nahi pata chal raha hai. MY UAN No is 100410097526. Please send me PF Balance amount. Mera koi job nahi hai mere jai se karodo log bekaar hai unako kaisa pf aur kaisa UAN . MY PF NO IS- DL/22008/6275, PLEASE SEND MY UAN NO. At Post & Tq: Ranebennur. At Post & Tq: Khejarla. Pravin kashiram sawant pf no. BR/PAT/5020/306152 My pf not ricived in my bank account what can I do? UAN to correct it..Is there’s way to correct it. I do not know my UAN generation number pl. give me my UAN no. i generat UAn No. with website through my pin no. is 2515 & that time code is LTNDFJ so pl. give me my UAN No. I know my pf balance. I forgot my UAN number. can you provided me UAN number.with password & pin No. I am Malabika Maity. I am working as Lady Guard in G4S Secure Solutions India Pvt. Ltd.
My UAN no. Is 100215945863..
My old mobile number(9804901288)was connecting with this UAN no..
My current mobile no. Is 9681035525..
How can I check my UAN update ? Dear sir plz help to open uan portal directoly. plz sir provide the link. I’m working KSS petron till 21 July 1995, company has opened to uan nos are 100403970366 & 100061187980 also I have filled transfer form 13 on line til date it not transfered in one account,also interest is not adding from 2-3 years. For giving me trouble they wrote my date of birth wrong , it is also not corrected to now. Pingback: UAN Member Portal: How to Registration at UAN Portal Online? Pingback: EPF UAN Login: How to Login at UAN Member Portal Online? I just want to download my UAN card and trying since last month but UAN portal giving msg continuously that, site can’t reached!!! Its urgency now please help me. Could you please provide me UAN no if I give my PF Num? I am Vikas Parmar.I have my PF no. MH/4100/2628. I worked with company in 2008-2009 under my regional office Delhi. I don’t know my UAN. Kindly help me out. MY PF NO. is KN/BN/34272/605396. Please provide my UAN NO. I m Sri Barun Kumar Behera, My UAN number is 100995996075, and Mobile Number is 9438117206,. But my Mobile Number is not registered. So I would like to request for registration of my Mobile Number. I m RajanKumar, My PF number is MH-37332-9654,and Mobile Number is 7250082884But my Mobile Number is not registered. So I would like to request for registration of my Mobile Number. my self ajit kumar i have uan number but i lost my register mobail number . How can i check my epf balance and register my new mobile number . I have applied for PF final settlement 2 months back, but haven’t got the status yet. Please check and let me know. I have applied for PF final settlement 2 months back, but havnt got the status yet. Please check and let me know. Thanks for sharing,Very nice article. plz keep sharing more articles .